Polishing and finishing is a crucial step in completing any professional or DIY project to a high standard. It's all about adding that final aesthetic flourish, or cleaning up materials, components, edges and surfaces for better functionality and a slick overall presentation. What types of finishing and polishing products are available? Finishing kits - a versatile selection of popular tools, compounds and accessories for polishing and buffing out metals such as steel, aluminium, brass or copper after soldering. A cost-effective solution for convenient all-in-one purchase of brushes, pads, pucks, files and felts. 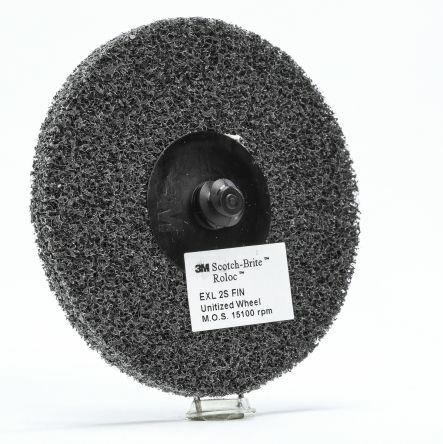 Polishing compounds - abrasive particles suspended in an oil- or water-based medium, used to enhance and restore the appearance of metal items or to remove contamination, corrosion and oxidisation. Choose from first cut, second/medium cut, or final polishing compounds. Diamond slurries, pastes and lubricants - a water-based polishing compound used for polishing materials like stone, metal, ceramic, gemstones or glass. Monocrystalline diamond paste is ideal for use on flat, even surfaces with fewer edges; polycrystalline diamond paste contains sharper, more jagged particles for more challenging surfaces. Deburring tools, handles, blades and wheels - ideal for precise, high quality finishing on metalwork and machining jobs. We also sell deburring products for use on wood, plastic, ceramics or metal. Use manually or with chucked power tools for precision removal of surface/edge material. 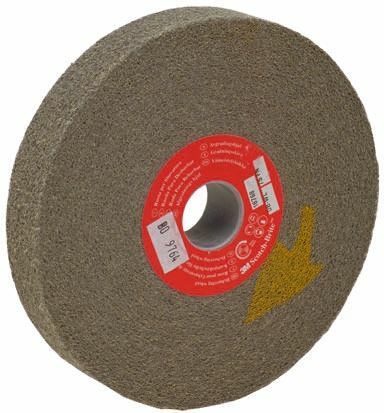 Wire wool and finishing rolls - steel wool pads and aluminium oxide rolls are flexible and easy to cut to size for prep work, blending, cleaning, sanding and varnishing. Ideal for removing paint from metal, or applying wax polishes to wood. 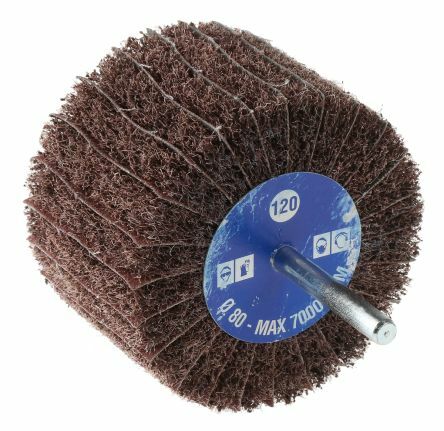 Polishing bobs, mops and pigtails - polishing or buffing bobs and mops are made from compressed wool felt, cotton or sisal, and designed to work with rotary polishers, grinders or drills. They can provide a high lustre (mirrored) or smooth finish on metal, wood, plastic and glass. Fibre optic lapping film - for a smooth, consistent finishes to the tips (ferrules) of optical fibre connectors, improving light transmission. Our lapping films feature aluminium oxide mineral adhesive in various grades or grit sizes. 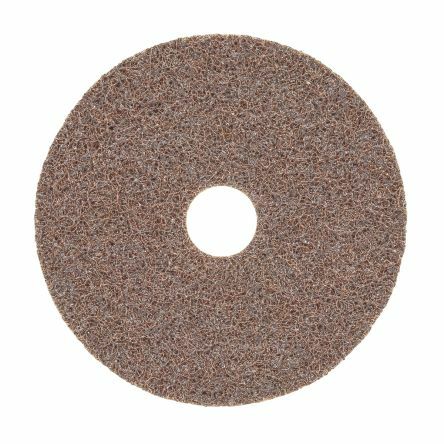 Manufactured from nylon fabric, impregnated with aluminium oxide abrasive grain, interleaved with coated abrasive fabricIntegral 6mm diameter shaftUsed in the removal of scratches, light deburring, de-nibbing and blending-in.